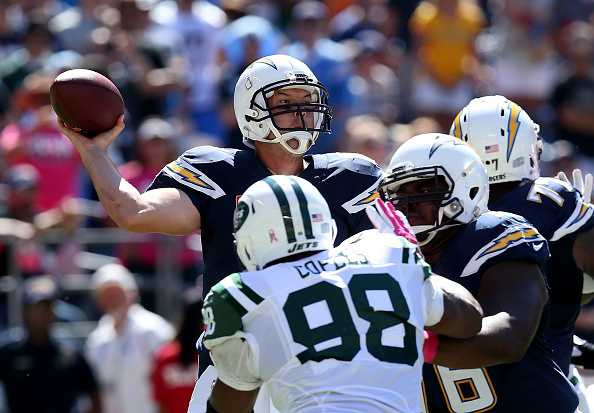 Everything that could have went right did for the Bolts on Sunday, as a dominating defense combined with solid play from Philip Rivers, Antonio Gates and rookie back Branden Oliver for a rather easy 31-0 win over the awful New York Jets. Rivers and Gates got off to a quick start, as the Chargers QB threw two touchdown passes to Gates to get San Diego off to a quick start and they would never look back. The win was the 4th straight for the Chargers, who continue to run neck and neck with the Broncos for best in the division. The Jets offense was no match for the Chargers D, as they didn’t make it across the 50-yard line until 7:35 left in the fourth quarter, thanks to a 33-yard gain on a pass interference call against Richard Marshall. The Jets had only four first downs through three quarters. New York played two QB’s in Geno Smith and Michael Vick. Smith was just four of 12 passes for 27 yards with one interception for a rating of 7.6. Vick was 9 of 20 for 47 yards. Credit the Chargers D for never taking their foot off the gas, and completing the job with the shutout to put the Jets at 1-4. Oliver was a pleasant surprise, as he came in and had a 9-yard touchdown catch in the third quarter on a drive he kept going with a 52-yard run. He was playing for an injured Donald Brown. On the day Oliver, a free agent from Buffalo, ran 19 times for 114 yards and caught four passes for 68 yards. 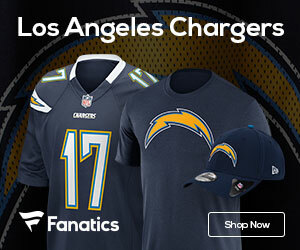 After seeing a number of upsets the last two weeks by road teams, there’s no doubt the Chargers look like a playoff team once again, and Sunday proved it beating a bad team at home to go to 3-0.